Great for vegetarians too. Make a big pot for leftovers or half the recipe. IN A LARGE POT ADD OIL, AND ONION COOK ON, HIGH STIRRING FOR 5 MINUTES. ADD CARROTS, COAT WITH ONION AND OIL. ADD CARROTS, GINGER WATER AND STOCK CUBE. COOK UNTIL CARROTS ARE TENDER 20 MINUTES. 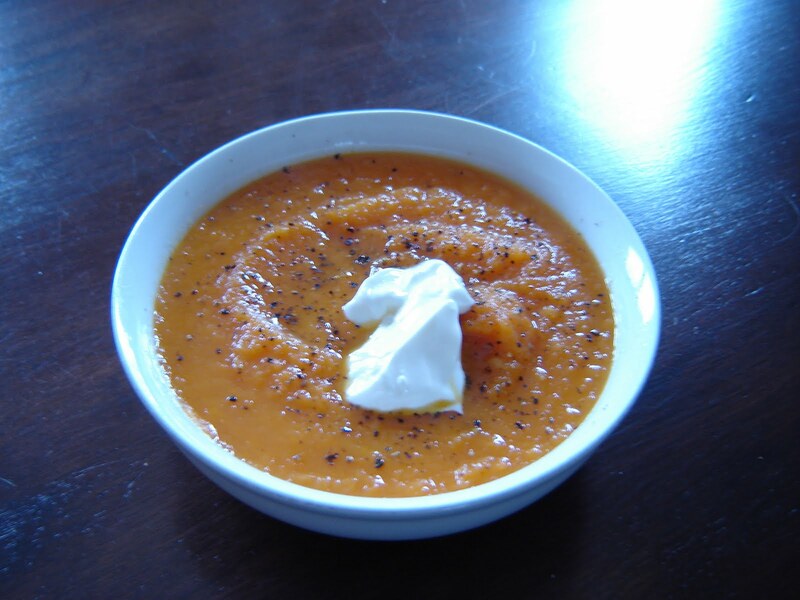 PUREE SOUP (IDEALLY WITH A HAND HELD MIXER IN POT) OR POUR INTO A BLENDER TO PUREE. SERVE WITH GREEN SALAD & BREAD. OPTIONS TO GARNISH BLACK PEPPER & SOUR CREAM IS THE BEST. TASTY, EASY & GOOD FOR YOU. Next Post Organized For Good! “The Nightmare Room” Gets a Make-Over!